Cornelia Tuttle Hamilton meets the man behind the yarn. 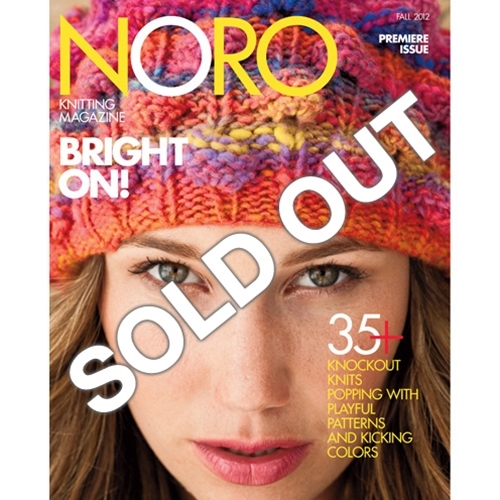 A roundup of pattern booklets that use Noro yarns to gorgeous effect. When it comes to knitting with Noro, a row isn't a row isn't a row. Laura Aylor's rippled afghan plays up the color repeats in Noro Kureyon. Enjoy a cuppa with Aussie tea-cozy designer Loani Prior. Spectrum-spanning accessories put the accent on color. Elements of a masterpiece: painterly Noro yarns and sculptural stitches. Get a leg up on feminine fashion with colorful dresses and skirts. Proof positive that men can sport color knits in a strong yet subtle way. The bolder the hue, the blousier the silhouette, the more interesting the casual knit. Watch as stripes unfurl perfectly off the skein. There's always room for color: Infuse your interiors with Noro décor.